Stay in one of 10 guestrooms featuring flat-screen televisions. Complimentary wireless Internet access is available to keep you connected. Bathrooms with bathtubs or showers are provided. Conveniences include coffee/tea makers, housekeeping is provided daily, and cribs/infant beds can be requested. With a stay at Broccoli Bottom in Oakham, you'll be a 2-minute drive from Rutland Water Nature Reserve and 7 minutes from Oakham Castle. 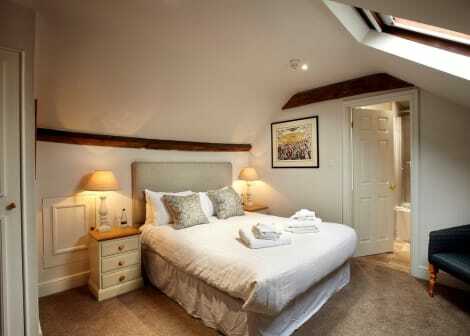 This bed & breakfast is 14.2 mi (22.9 km) from Burghley House and 5.6 mi (9 km) from Lyddington Bede House. Stay in one of 45 guestrooms featuring flat-screen televisions. Your pillowtop bed comes with premium bedding. Complimentary wireless Internet access keeps you connected, and digital programming is available for your entertainment. Private bathrooms with shower/tub combinations feature designer toiletries and hair dryers. With a stay at The Finchs Arms in Oakham, you'll be a 1-minute drive from Rutland Water Nature Reserve and 7 minutes from Oakham Castle. 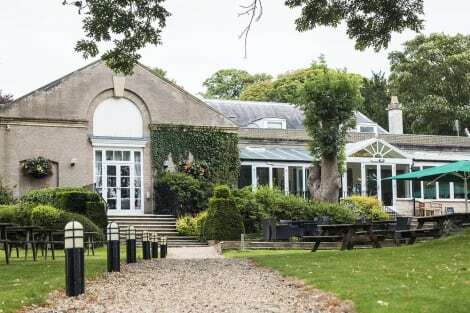 This 4-star inn is 15.6 mi (25 km) from Burghley House and 4.6 mi (7.4 km) from The Rutland Falconry and Owl Centre. Oakham is the county town of Rutland, the UK's smallest county, located in the East Midlands of England. The town has a rich history and many interesting cultural attractions. Oakham hotels also offer an excellent base from which to explore more of the quirky county of Rutland. Oakham's illustrious past is reflected in its beautiful architecture. The town is also very green, with plenty of parks and open spaces, and provides the perfect setting for an afternoon stroll. The tall spire of All Saints' Church can be seen from miles around and the church itself is no less an impressive sight. Built in the 14th century, it was restored in 1857 by the famous architect Sir George Gilbert Scott and is a Grade 1 listed building. Just a short walk away is the remains of Oakham Castle. Built by the Normans in 1180, all that remains is the Great Hall. Inside the hall hangs the evidence of a peculiar local custom. forfeit in the form of a horseshoe. This peculiar custom is now reserved for ceremonial visits of royalty, when large engraved horseshoes are produced. Hundreds hang on the walls of the hall, including one made in 1470 to commemorate a visit by King Edward IV. The castle stands in the luscious Cutts Close Park. The park has a bandstand, skateboard area, flowerbeds and a wonderful playground. If the sun is shining, this is the perfect place to spend the day with the kids and a picnic. Unusually, for a place of its size, Oakham is blessed with several excellent and diverse restaurants. Nick's, in the middle of town, is a special treat. The kitchen has received numerous awards for its menu of modern English dishes made using locally sourced produce. If you want something a bit less formal, The Golden Dragon is the pick of Oakham's Chinese restaurants and is a great place to sit down or grab a takeaway. The Whipper Inn, just down the road, is where to go for a Sunday roast. This traditional pub serves up great food in a relaxed and comforSEOSITE_LEVEL_DESCRIPTION environment. Another fantastic pub is the Odd House Tavern, a local favourite with a great selection of beers and wines.